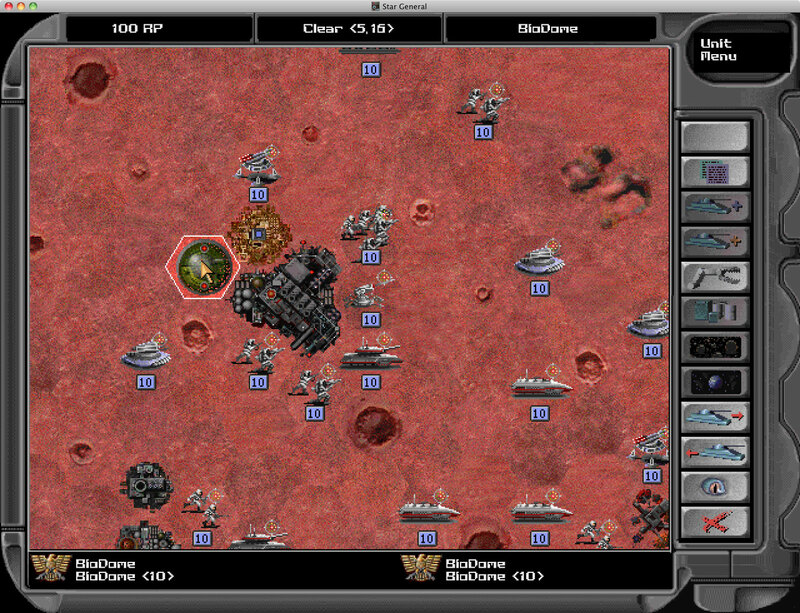 Thanks to the recent hype about Panzer Generals modern (online F2P) successors I was reminded of the gameplay-wise very similar Star General by the same developer (SSI) which I really liked to play about 15 or 16 years ago because I preferred the sci-fi setting. 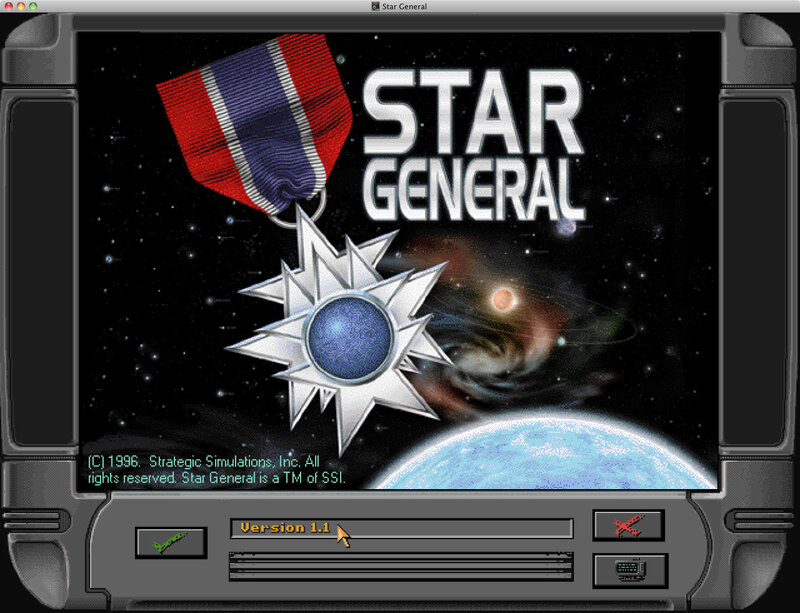 Back then I got Star General through the Gold Games 2 (1997) games collection and of course I threw away all my old game CDs years ago. 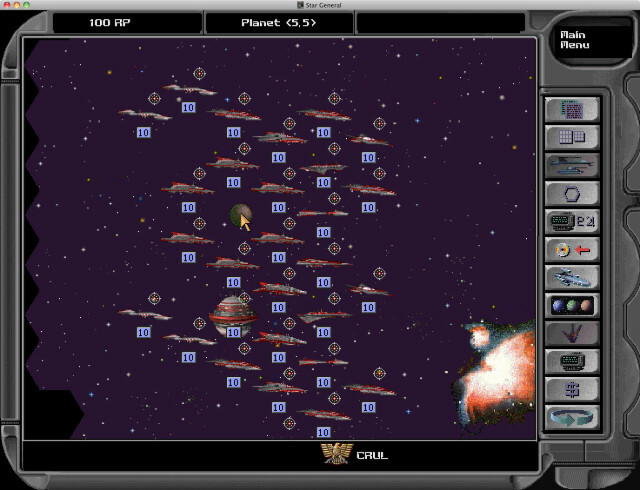 After extensive online searching I finally found a DOS version (DOWNLOAD LINK) of the game which I could install and play with the marvelous Boxer app (a well designed version of DOSBox for Mac OSX).